ZTE will sell Firefox smartphone on eBay in the U.S. and the U.K.
Smartphone manufacturer ZTE is on track to become the first to sell a device running Mozilla’s new Firefox operating system in the US and the UK. Interestingly enough, however, the outfit has elected to forego traditional methods (direct purchase, partnering with wireless carriers) and instead offer the handset for purchase on eBay. Mozilla’s first mobile operating system was designed with emerging markets in mind. It’s unique in that it is built entirely to open Web standards which means every feature can be created as an HTML5 application. ZTE’s Open debuted in Colombia, Spain and Venezuela earlier this year. It’s a device that could certainly shake up the budget smartphone market as it’ll be priced at just $79.99 off contract and unlocked. We’re told that orders through the company’s eBay page are expected to go live this Friday although banners specify the word “bidding” instead of buying. 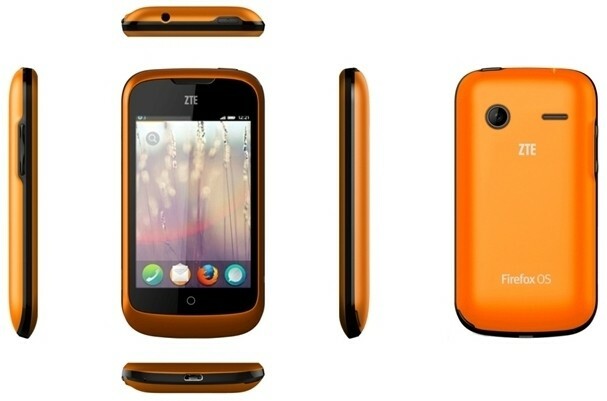 The smartphone will be available in a unique orange color, an obvious nod to Firefox. Your $79 investment features a 3.5-inch display operating at 480 x 320 resolution, a 1GHz Cortex-A5 processor, 512MB of internal storage, a 3.15-megapixel rear camera and a 1,200mAh battery. Furthermore, the device doesn’t work with speedy 4G LTE networks so you’ll be limited to 3G connectivity. The ZTE Open may not be your first choice for a smartphone but if you’re on a budget, looking for a solid backup handset or want to give your child a phone that won’t break the bank to replace, it could be worth a look.